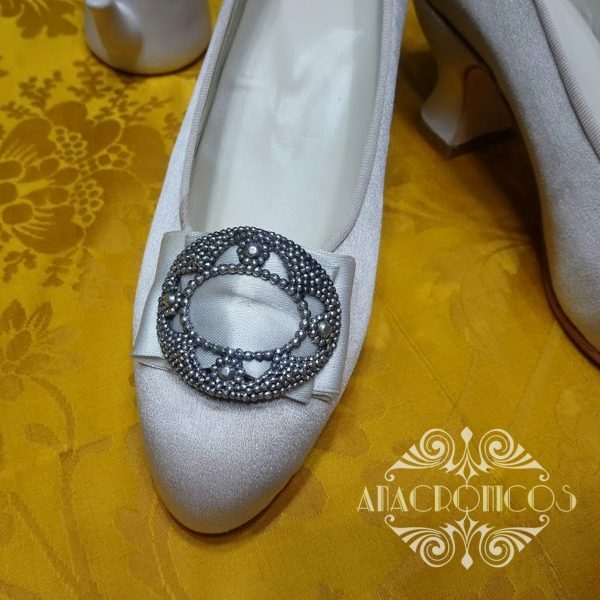 A pair of perfect shoe buckles to recreate Victorian fashion. Reproduction of a private collection dating from the mid-nineteenth century. Available in two finishes. Unique fastening system. 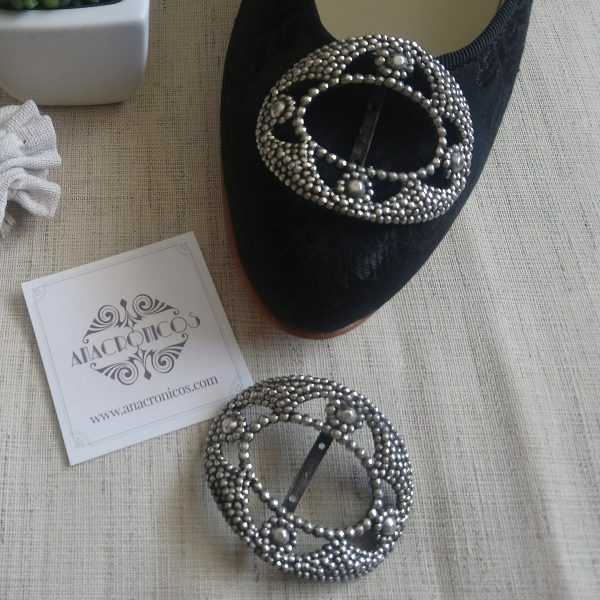 Reproduction of shoe buckle, from a private collection dating from the mid-nineteenth century and manufactured in Paris. 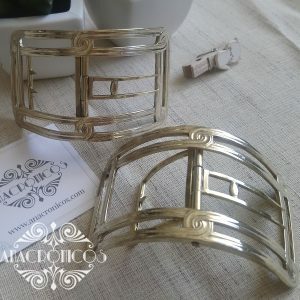 Available in two finishes aged silver and old gold. 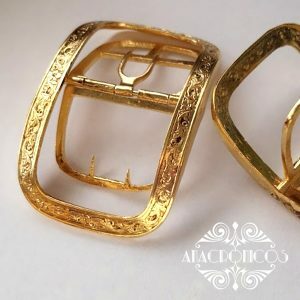 Fastening: These buckles have two holes and a pin. 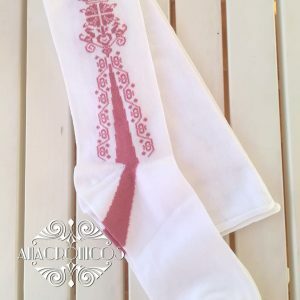 They can be used fixed to a piece of leather or silk that is glued or sewn to the shoe, or sewn to the fastening strips thereof. 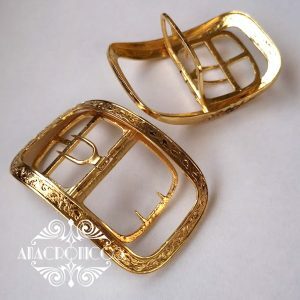 These buckles had a decorative function and are perfect to recreate Victorian fashion. 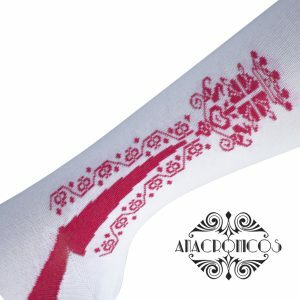 Craft product manufactured by hand. 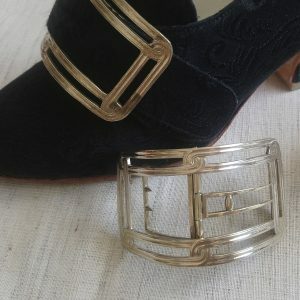 Available in two finishes, gold finish/silver finish. Only available with the original fastening system.